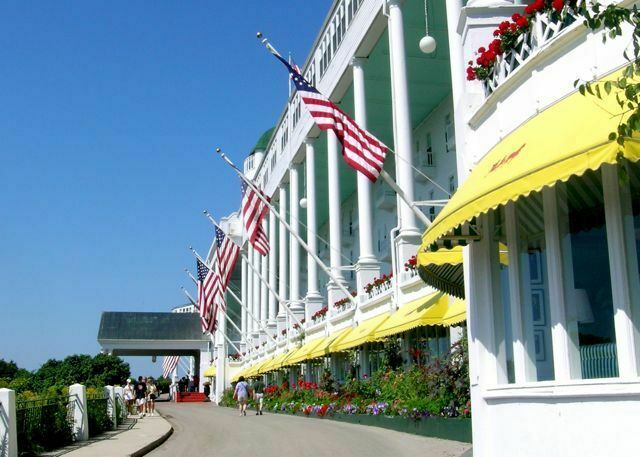 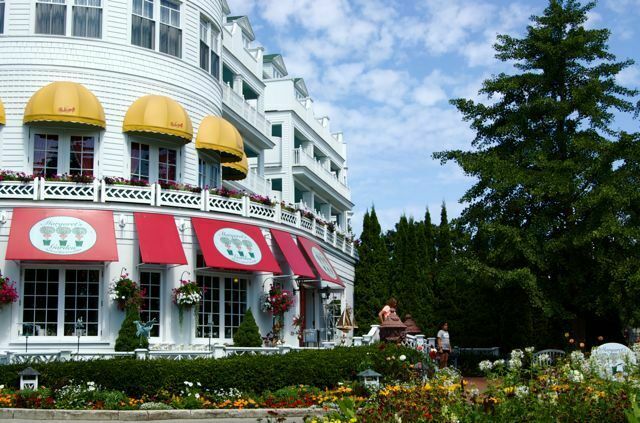 The crown jewel of Michigan, Mackinac Island, has been a cherished wedding destination for more than 100 years. 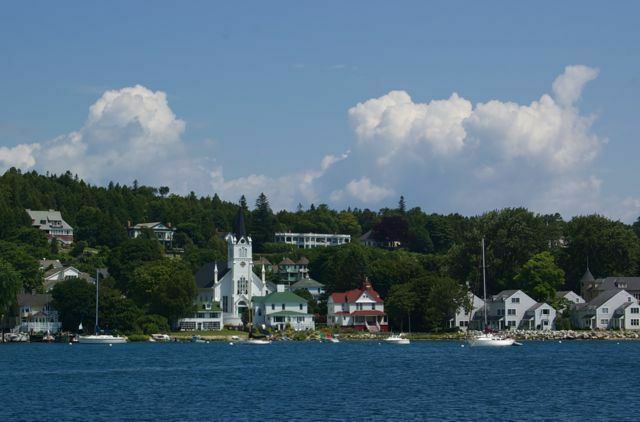 Each summer brides and grooms travel from near and far to experience the quintessential Mackinac Island wedding. 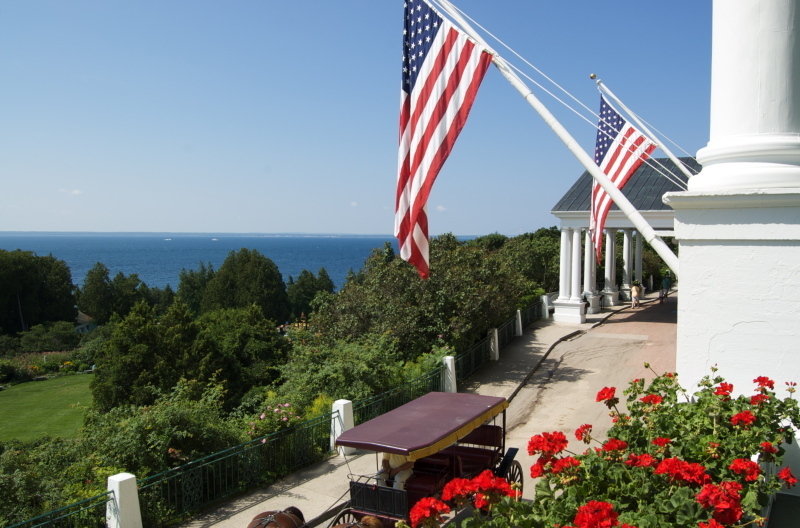 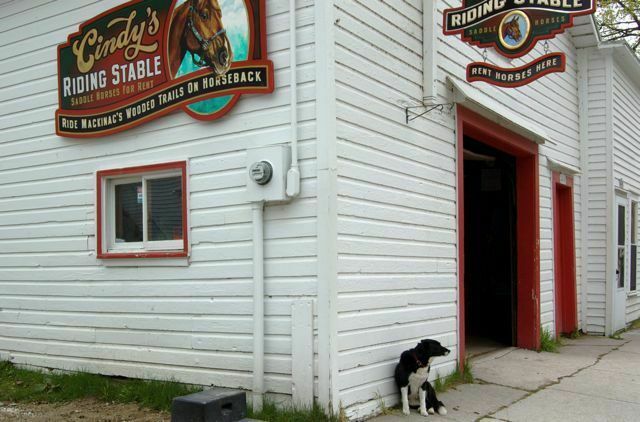 This experience includes magical components such as horse drawn carriages, passenger ferry trips, and the charm and sense of tranquility only found on Mackinac Island. 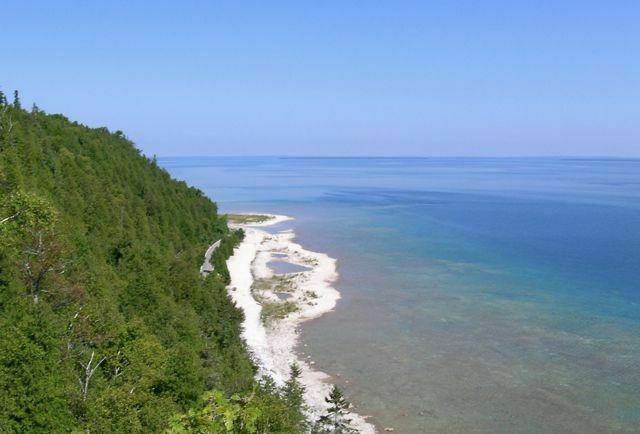 The island is home to approximately 500 year round residents who remain on the 4 square mile island during off-season months, November - April. 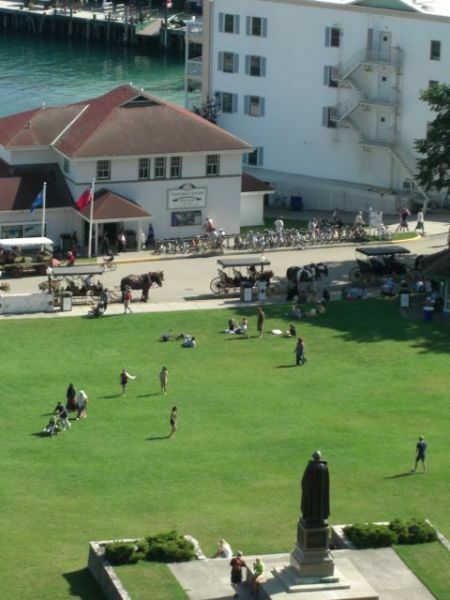 While it never officially "closes", Mackinac Island does cease most of its tourist operation beginning November 1. 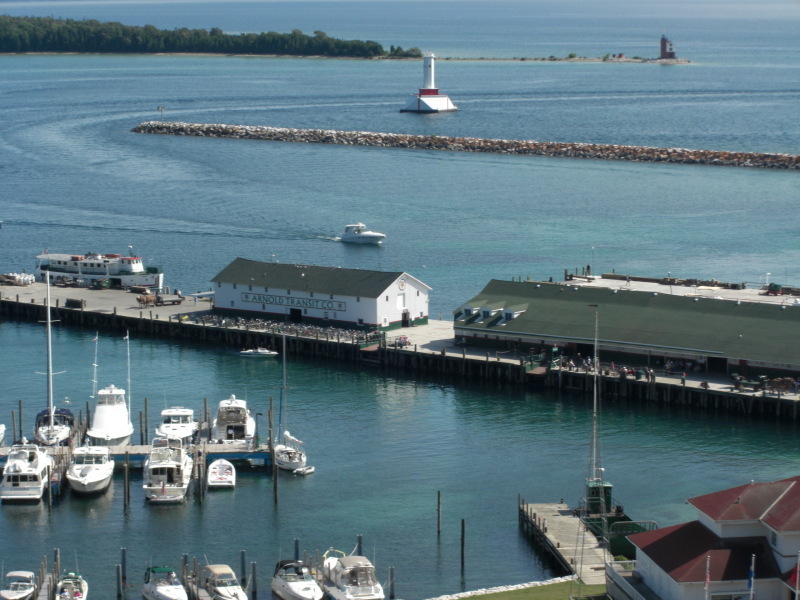 Passenger ferry service to the island also stops around that same time. 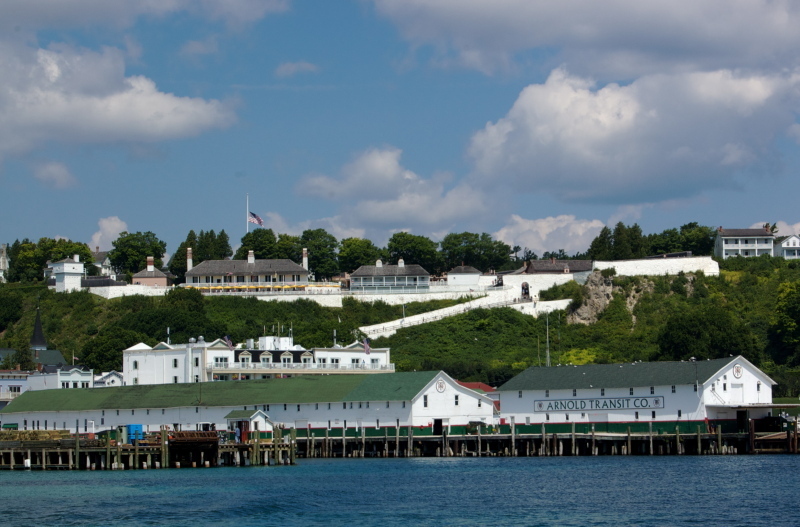 In January, after freight service is no longer available across the Straits of Mackinac, the only transportation to and from Mackinac Island is via private air charter and at times, snowmobile. 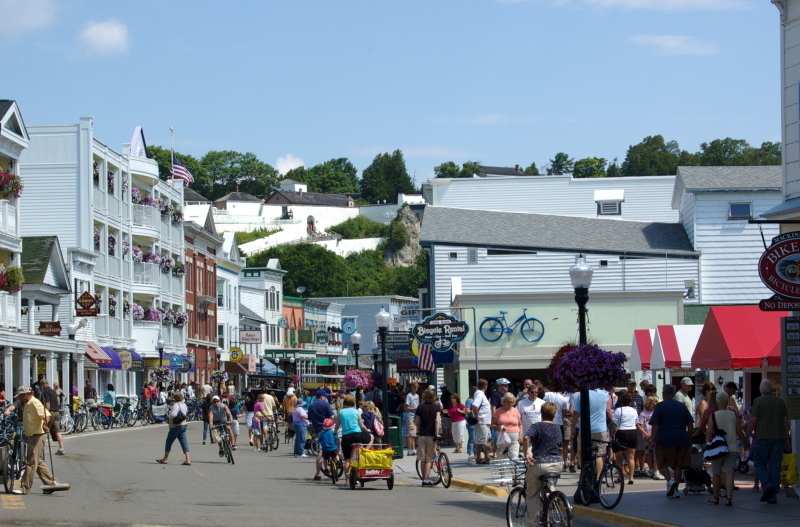 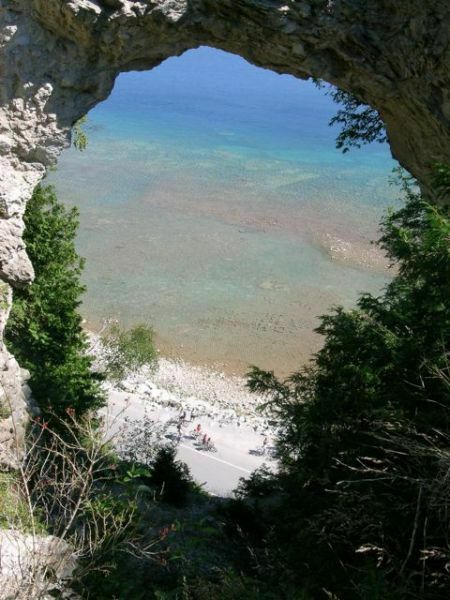 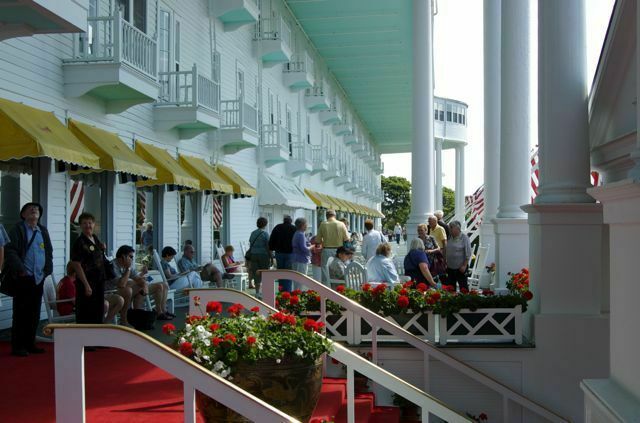 In the late 1800's, Mackinac Island became a popular tourism destination to vistiors from around the globe. 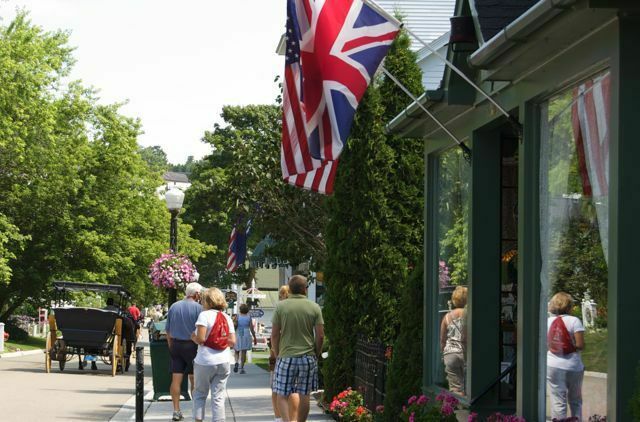 Rich history, uncomparable vistas, and a mild summer climate all contributed to the popularity of the island. 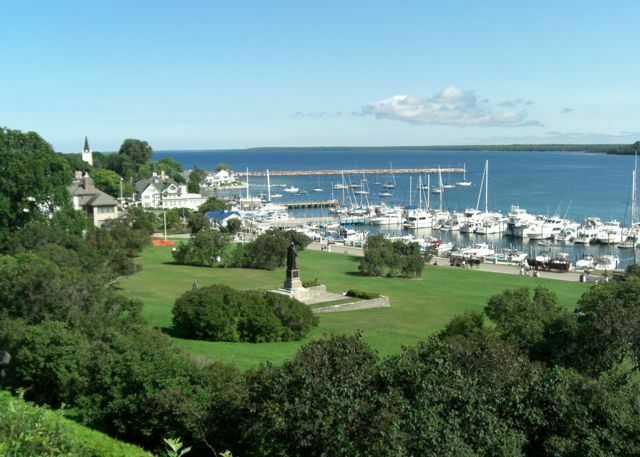 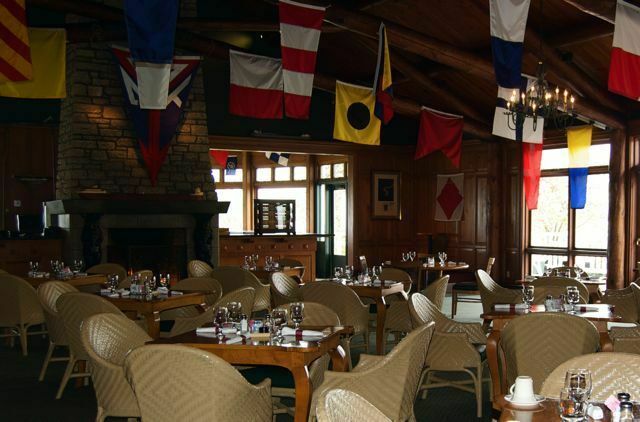 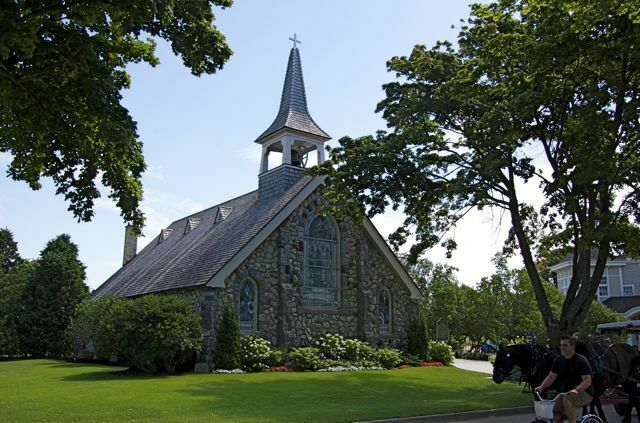 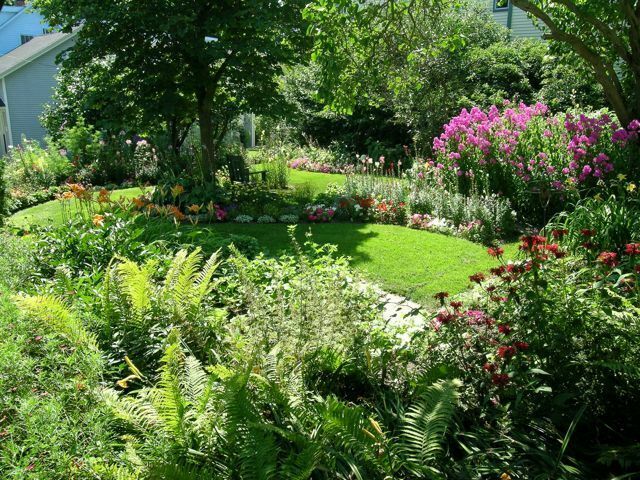 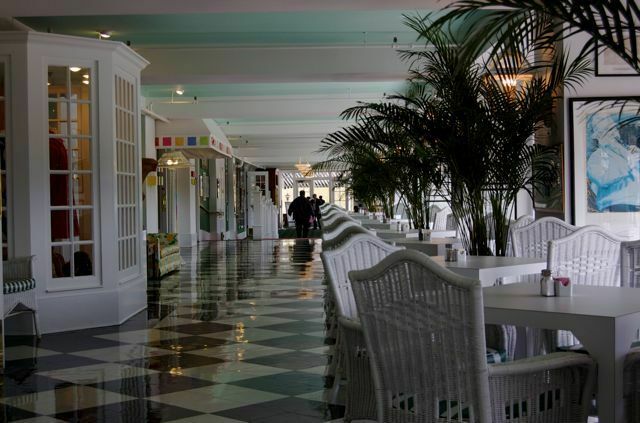 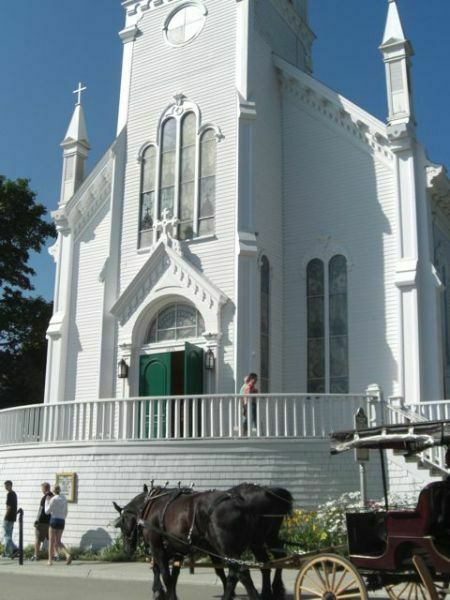 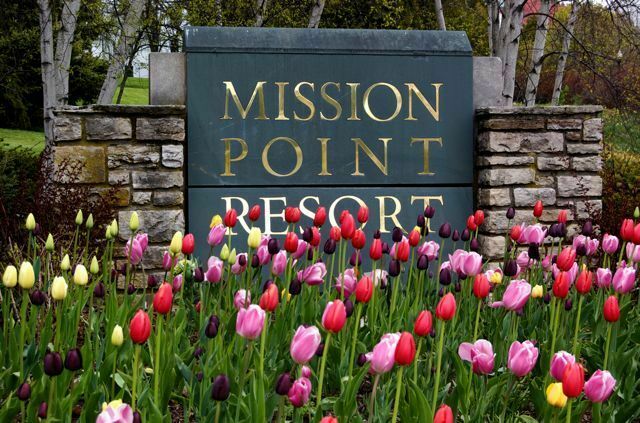 Guests choosing Mackinac Island for their wedding will enjoy the availability of sprawling Vistorian resorts, luxury hotels, quaint historic chapels and churches, and an array of vendors ready to accommodate every last detai for the event. 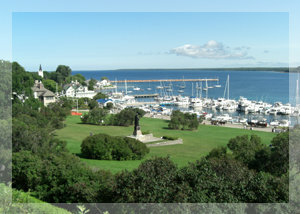 Mackinac Island weddings are truly an experience more magical and most unlike any other destination wedding location in the world.